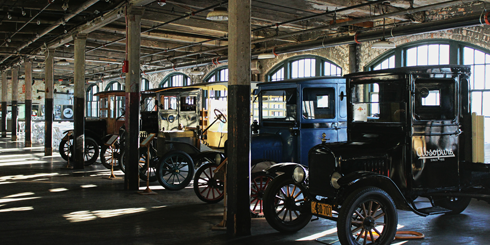 Constructed in 1904, the Ford Piquette Avenue Plant in Detroit, Michigan was the second home of the Ford Motor Company, and most notably, the birthplace of the Ford Model T. On the third floor in the northwest corner of the Piquette Avenue Plant was Henry Ford's office, and it was here in 1907 that along with a small team of draftsman and engineers, that plans were developed for a car that would end up changing the world. 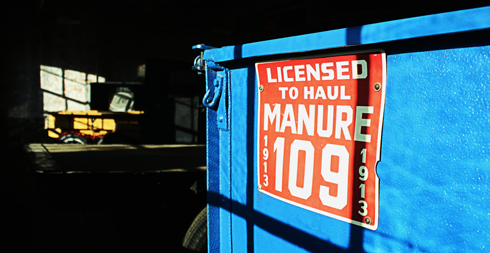 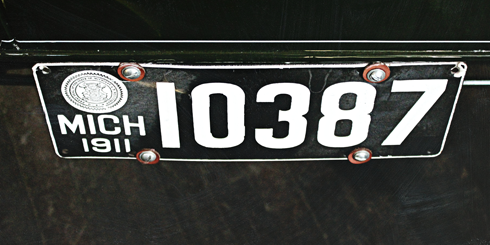 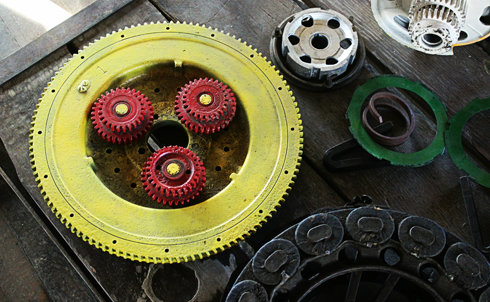 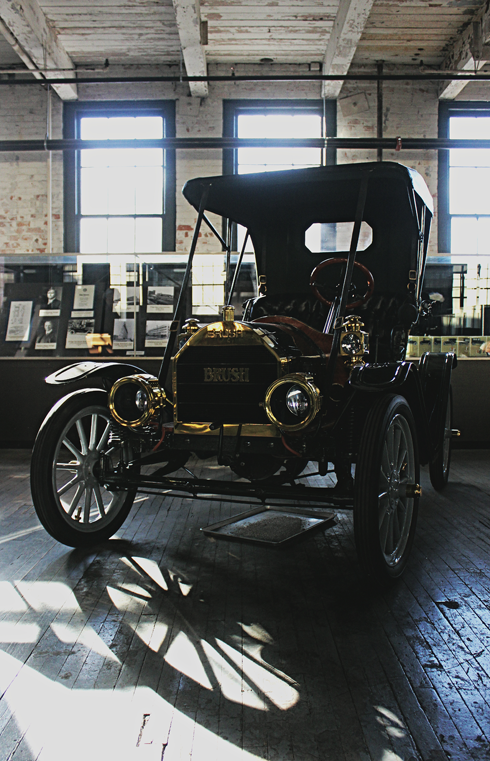 The first production Model T was built at the Piquette Avenue Plant on September 27, 1908. 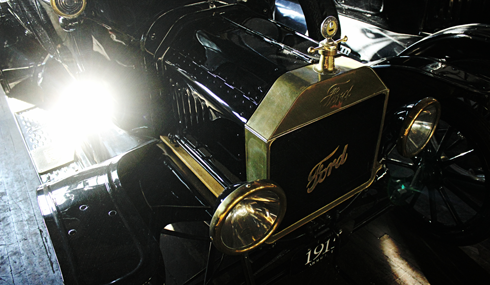 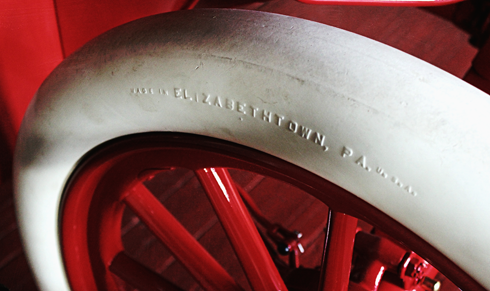 Between 1904-1910, Ford assembled upscale Models B and K, and entry level Models C, F, N, R, S and T here. 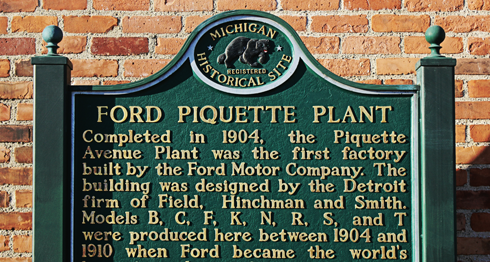 By 1910 Ford had already outgrown the factory, and after producing nearly 12000 Model Ts at the Piquette Avenue Plant, Henry Ford moved the operation to a new facility in Highland Park, Michigan. 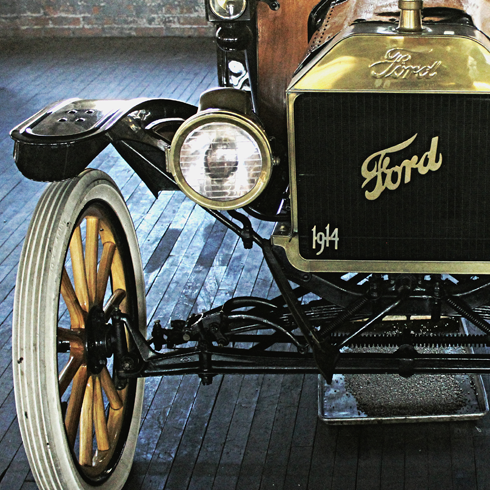 It was there that he developed the moving assembly line in 1913-1914, and would go on to produce 15 million Ford Model Ts. 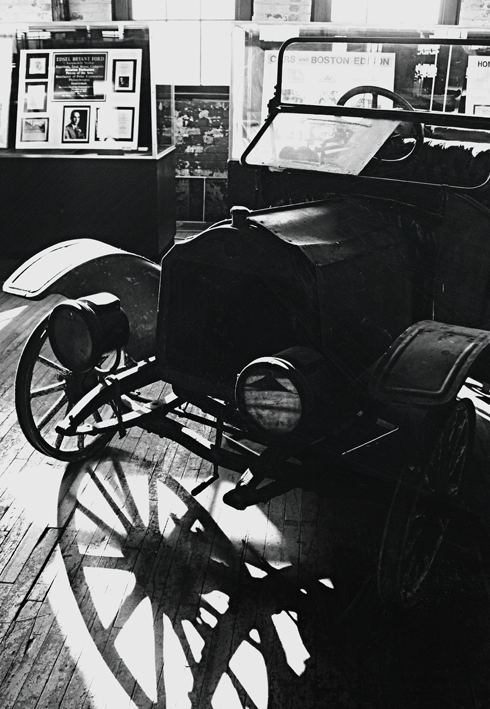 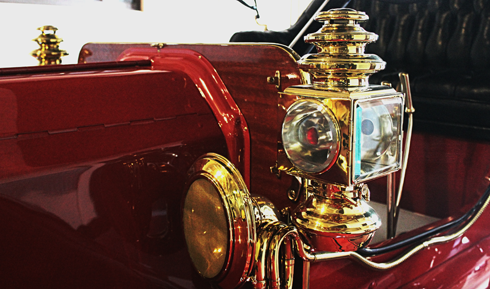 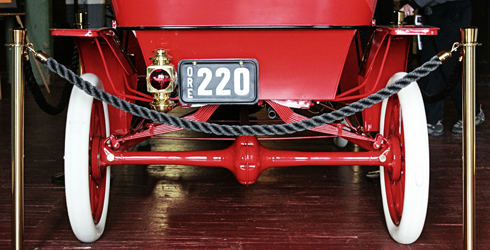 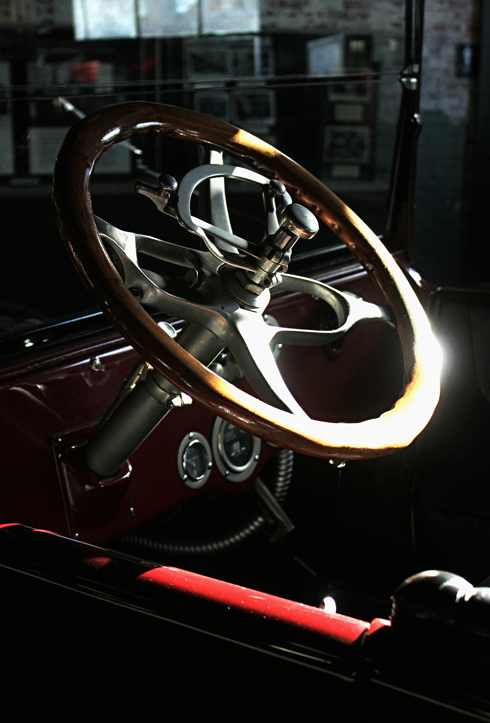 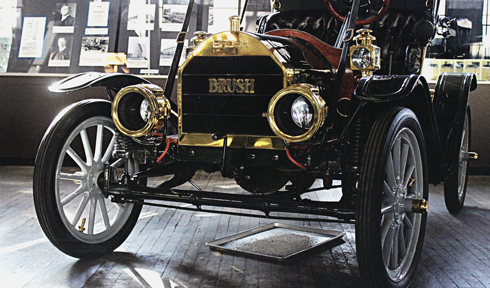 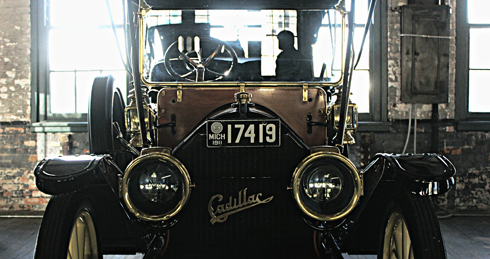 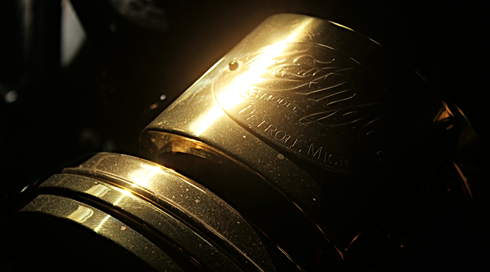 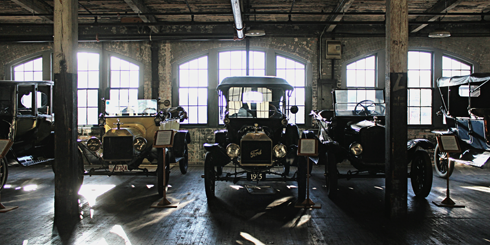 Today the Ford Piquette Avenue Plant is a museum with an impressive collection of classic automobiles from the early years of Detroit's booming auto industry. 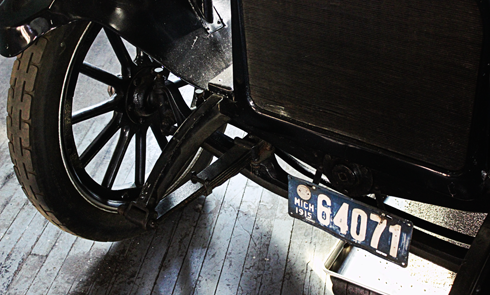 Here you can see the iconic Model T up close, and walk the same floors that Henry Ford once did. 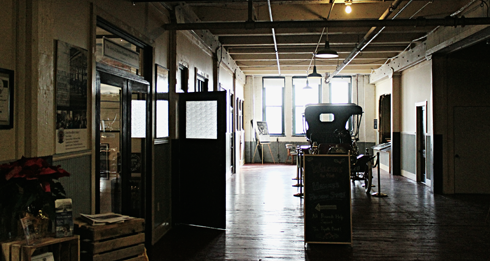 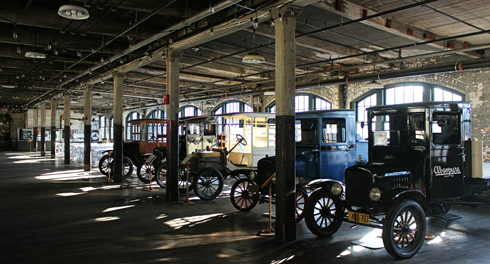 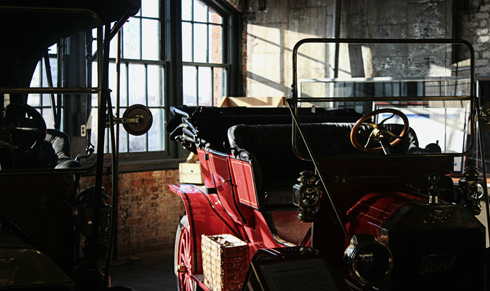 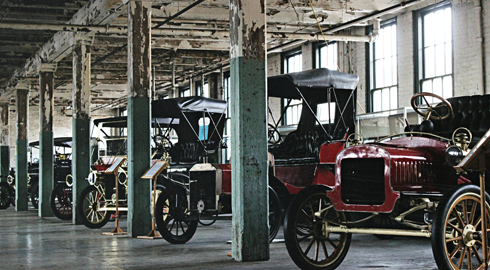 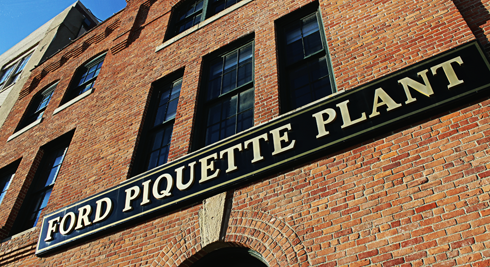 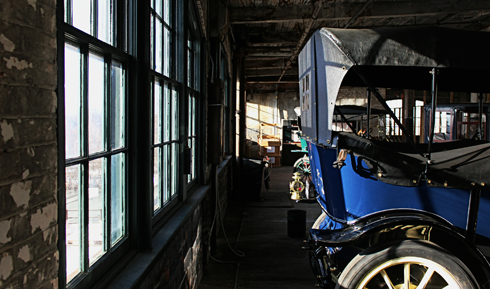 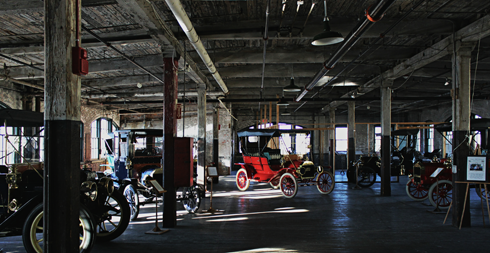 The Ford Piquette Avenue Plant is the oldest automotive factory building in the world that's open to the public. 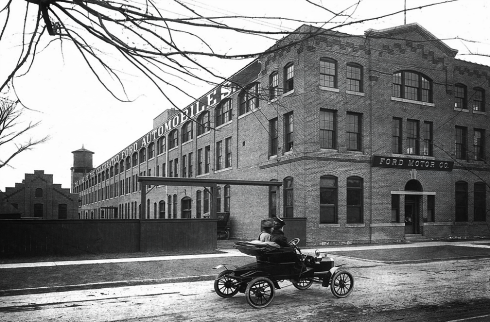 An archival image of the Ford Piquette Plant. 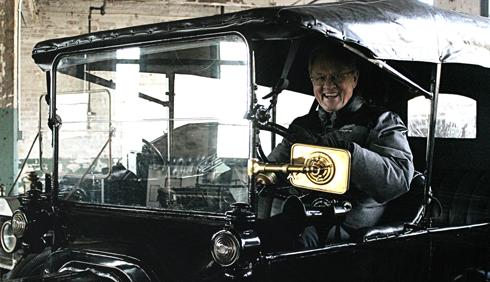 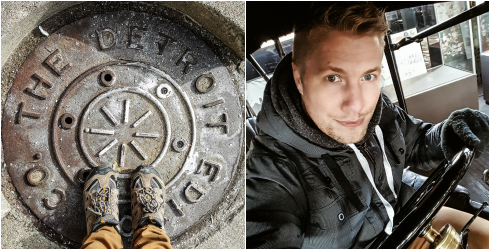 A selfie in a Model T.
My dad in a Model T.
This rare Ford logo is specific to the cars produced at the Piquette Plant. 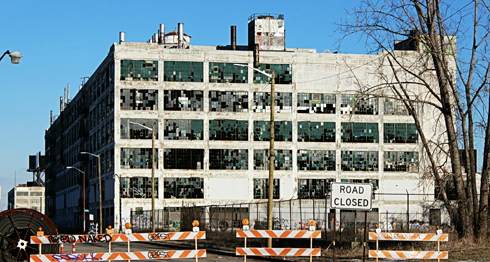 Abandoned Fisher Body Plant 21 across the street. 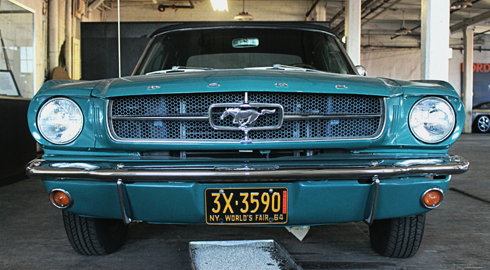 A rare Ford Mustang on display.